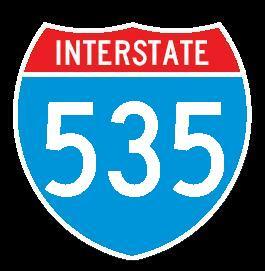 Interstate 35 is the main north-south interstate in Minnesota. This runs along the eastern portion of the state. It enters Minnesota from Iowa south of Albert Lea and runs to north of Duluth, via Minneapolis-St. Paul. 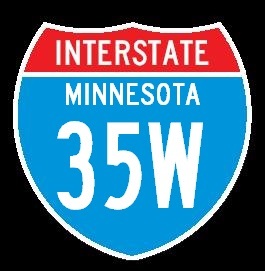 At Minneapolis-St. Paul it splits into "lettered" interstates (I-35E/I-35W). This is just like I-35 does at Dallas/Ft. Worth, Texas. 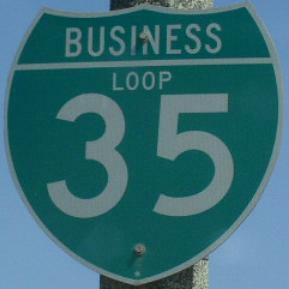 Niether city wanted to give up it's I-35 "main-line" when the AASHO ordered the dropping of the "lettered" highways. 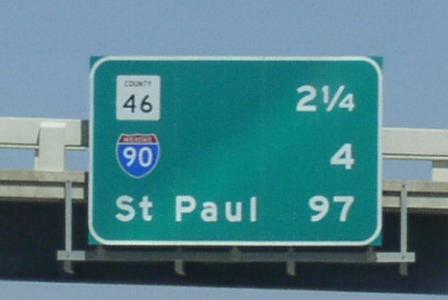 While in Minnesota, I-35 is multi-plexed several times. ...U.S. Rt. 14, near Owatonna. ...U.S. Rt. 2, at Duluth. 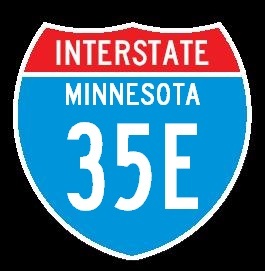 In Minnesota, Interstate 35 crosses the following interstates. 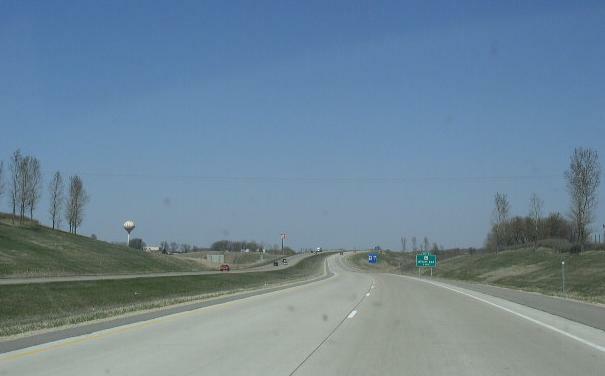 Interstate 90, at Albert Lea. A mileage chart on NB I-90. 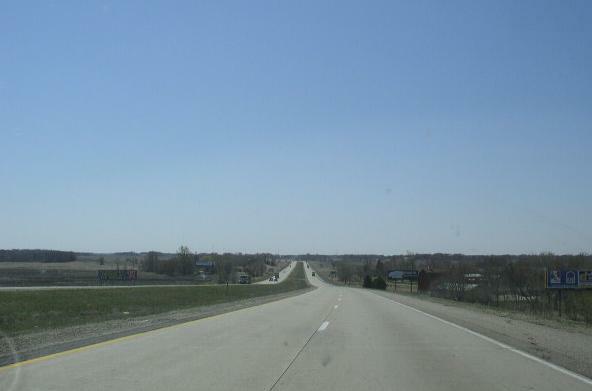 Interstate 35E, near Forest Lake. 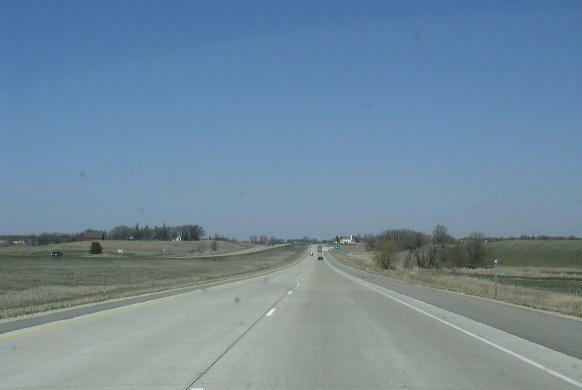 Interstate 35W, near Forest Lake. 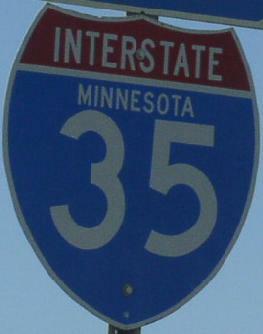 Branches of I-35 in Minnesota. SB I-35 at Albert Lea. NB I-35 at Albert Lea. NB I-35 at the Minnesota/Iowa State Line.